We’ve been talking a lot about spies this week. Our Spy Party for Little M was so much fun and I just know we haven’t seen the last of the spy activities for kids around here. I’ve collect a few easy activities that will be perfect for a lazy weekend or when the kids are on a break from school. Spy Glasses. Every super sleuth needs eyes in the back of their head. 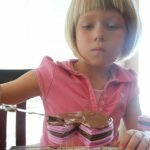 Make some DIY spy sunglasses, like these from Education.com, and no one will be able to sneak up on your spy again! Invisible Ink. Invisible ink is really cool. Teach Preschool makes playing with invisible messages easy (and inexpensive)! You may even have everything you need in your cupboard right now. Fingerprinting. Knowing who you are spying on very important. 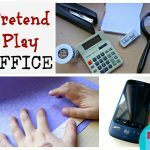 I love this fingerprinting technique from Frugal Fun 4 Boys. Lazer Maze. On more than one occasion I have found myself surrounded by yarn, ribbon or crate paper mazes. Setting up of a maze takes some thought and creativity. It also ends with a fun play area that keeps the kids busy for while. I love this lazer maze from Rovin Roberts. Secret Storage Box. Spies need a safe place to keep their gadgets and their spy notes. A hollow book box, like this one from Classic Play is awesome! 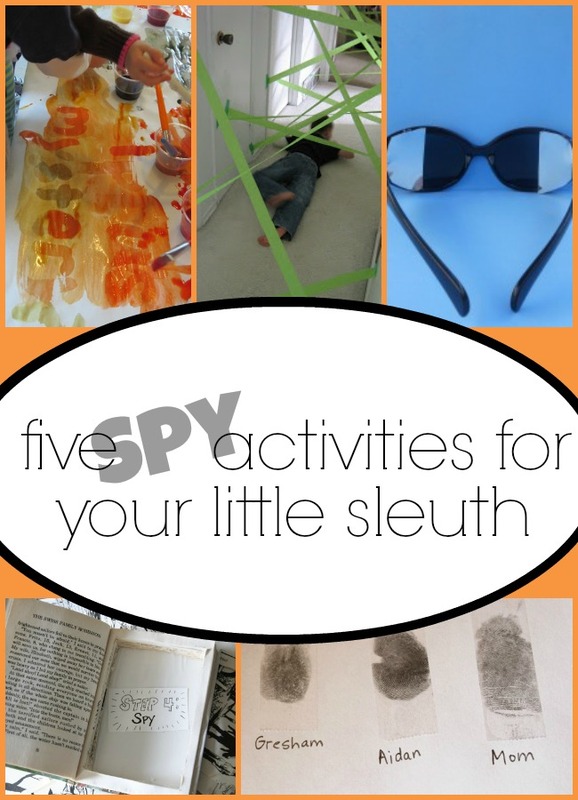 Do your kids have a favorite spy activity? As a side note, I used to love setting up pretend play areas for the kids but as they’ve gotten older their pretend play tends to be more sporadic and in the moment. I love that supporting this love of spy gadgets and spy play gives me a chance to get into pretend play with them again. Great idea about invisible ink! I’ve got to try this. My 7 year old boy is going to love these! Great for a rainy afternoon! Keeping this in my back pocket … I even have lemon juice in the fridge! The hollow book, will make me the coolest mom ever, I will just have to get over the cutting a book part! 🙂 Thanks for sharing these ideas! Thanks for the great ideas. My daycare kids are going to love this.